This is one laid-back little worm! Resting on some green grass, a caterpillar gets in his groove with a hookah, pipe and a really good book. The cast resin burner holds incense sticks in the bowl of the pipe, and can hold cones too, incense not included. It has a hand painted finish in purple, green red and white. 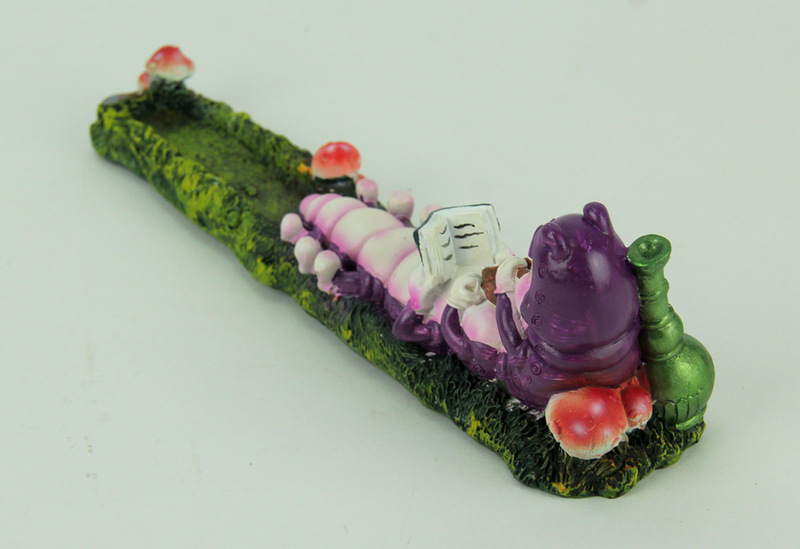 This 10.25 inch long, 3 inch high, 2 inch wide caterpillar incense holder is a fun decor accent and makes a great gift.